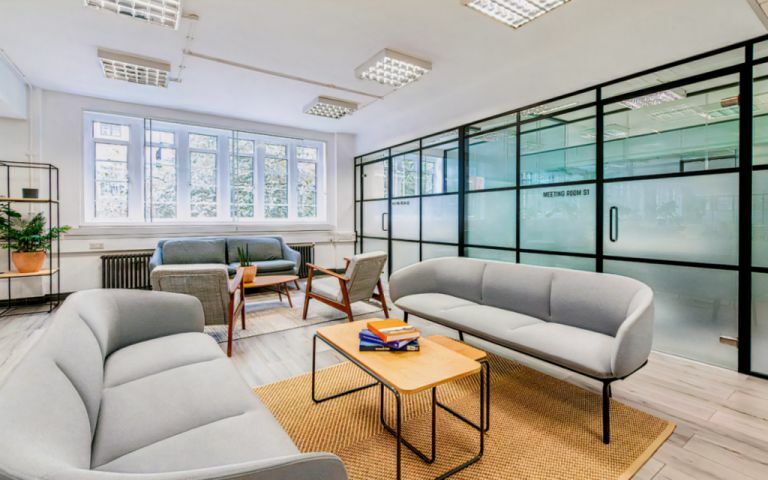 This newly refurbished space is situated in the heart of Westminster. The workspace operator is becoming well-known for providing a premium class of workspace at a hugely discounted price to other competitors. Members benefit from ultra-fast 1GB internet, unlimited use of ample communal meeting space, bespoke desks and highly ergonomic chairs. There's a large lounge area and open plan kitchen where members can enjoy complimentary tea and freshly ground coffee. The space is finished to a sleek and modern standard; glass walls, wooden floors and monochrome decor are fitted throughout. The entire space is filled with natural light, and all offices benefit from dedicated air conditioning systems with heating control. Nestled in the heart of Westminster, the centre boasts one of the city’s most-sought after postcodes, giving tenants excellent transport links, easy access to a range of eateries and drinking holes as well as close proximity to a number of the city’s leading attractions. The centre is located close to Lambeth Bridge and is just a five minute walk from landmarks such as Westminster, the Houses of Parliaments and much more. In terms of transport, the centre is a 10-15 minute walk from two of the capital’s major transport hubs; Vauxhall and Victoria stations. We can offer clients office space solutions from 4,575 sq ft. Open plan clean office space with cat 6 cabling, two passenger lifts, shower facilities and a contemporary manned reception.